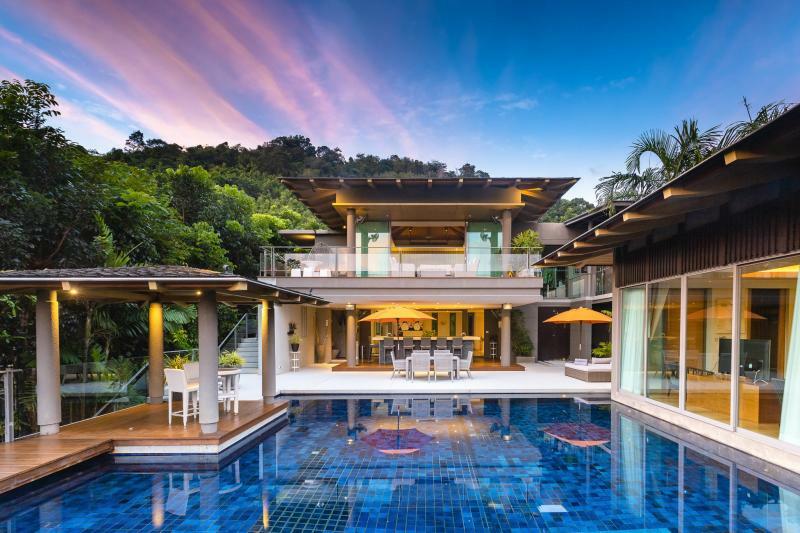 JFTB Phuket Real Estate is delighted to purpose for holiday rentals this luxury and exclusive modern 5 bedroom villa in Layan. What makes the difference between this stunning pool home and other similar ones you can be offered on the island? Its prime location! A club house and communal facilities are located on the site with Sauna, Hammam, Spa with 2 massage rooms and Fitness area. This home offers 5 en suite bedrooms with spacious living and dining areas. 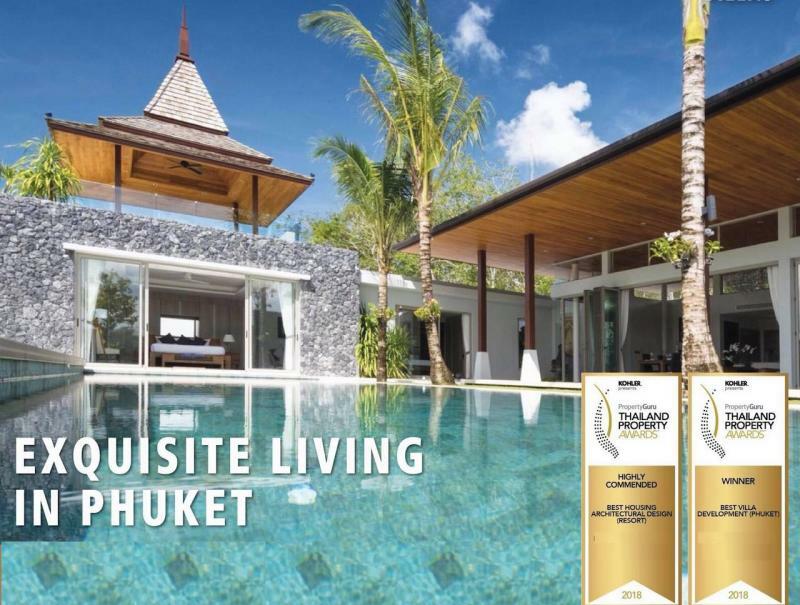 The first level comprises of a large open plan lounge, dining area and a fully equipped modern Western kitchen. Full width sliding windows open onto a covered terrace with further dining table and seating and views over the swimming pool to the ocean. There is also a cloakroom and access to the parking area. 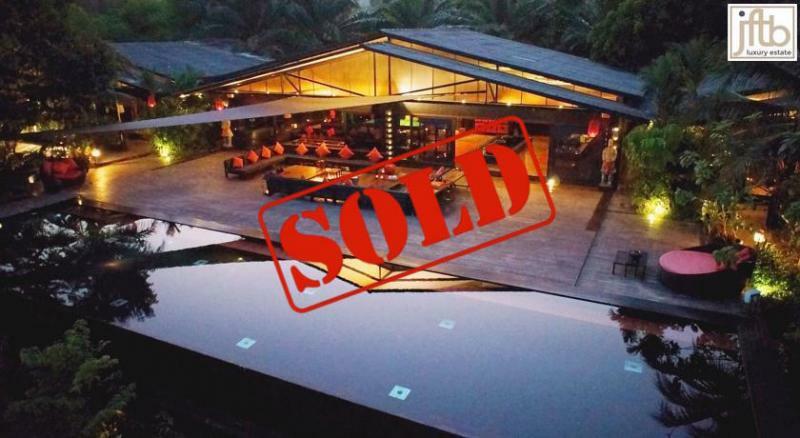 Downstairs is the 80 meter infinity edge pool and the undercover pool bar with BBQ grills, gas hobs, wine fridge, outdoor seating and dining table to sit an enjoy a al fresco meal. Sun beds and umbrellas are provided and there is also a Sala to sit and relax while overlooking the pool. The Master bedroom suite is located on this level and comes with a king size bed, desk, large walk in wardrobe with safe, 40” flat screen TV and a large modern bathroom complete with walk in shower, and private outside bath. All doors open giving direct access to the swimming pool. Stairs lead down to three further bedrooms. Bedroom 2 is a totally private suite which has a king size bed, en suite shower room, TV, wardrobes and fridge. Doors open onto a terrace with dining table and views over the garden. Bedrooms 3 and 4 have queen size beds, en suite shower rooms, desks, TVs, wardrobes and access to a large private terrace with sunbeds and dining sala. 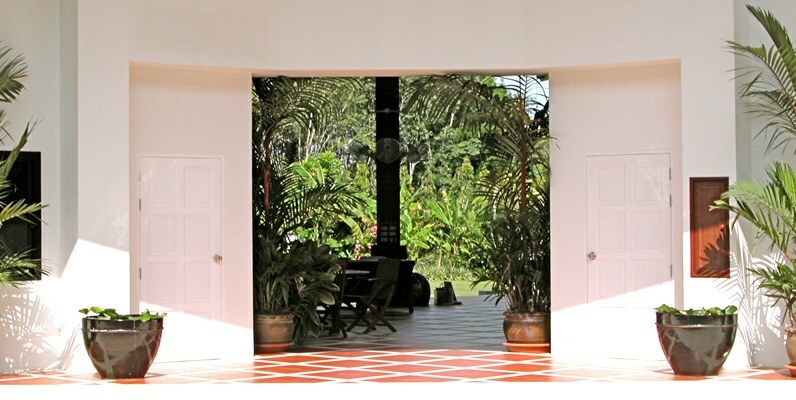 The villa is fully air conditioned and has wifi throughout. A maid and chef are provided to take of you during your stay and the Villa Manager offers a concierge service. 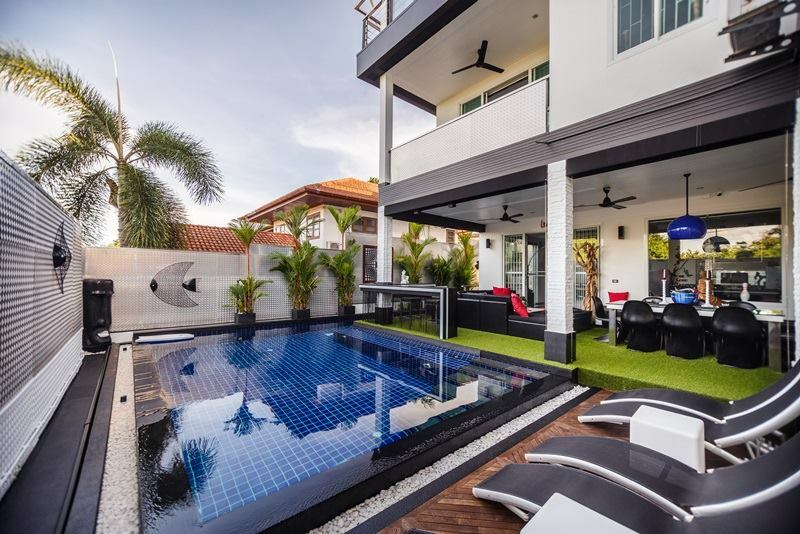 This prime location is close to Outrigger resort, Laguna golf Phuket, Xana Beach Club, Layan Beach and Dream Beach Club (ex Nikki Beach), as well as from Phuket international airport. 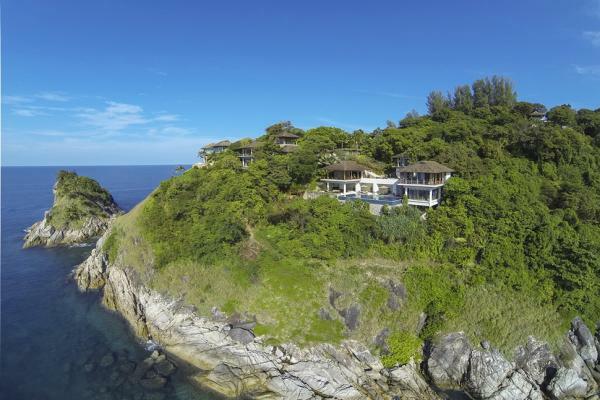 Layan Beach, one of the most beautiful sand beach of the island, is located on the northern end of Bangtao Beach, home of many luxurious resorts including Banyan Tree, Angsana Laguna Phuket and Dusit Thani Resort, all nested in the Laguna complex. 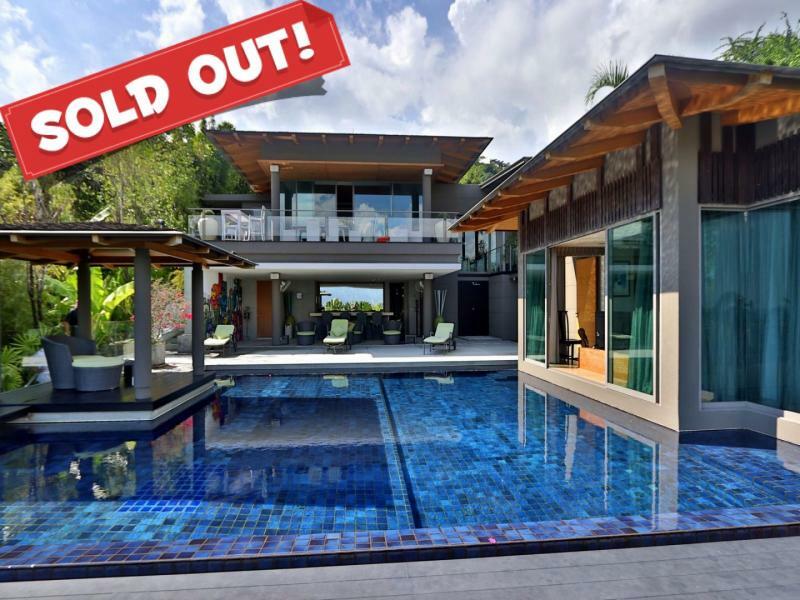 La Colline is a private sanctuary of individual private pool villas in Layan, perfect for families or large groups looking for the ultimate Phuket holiday or private home. 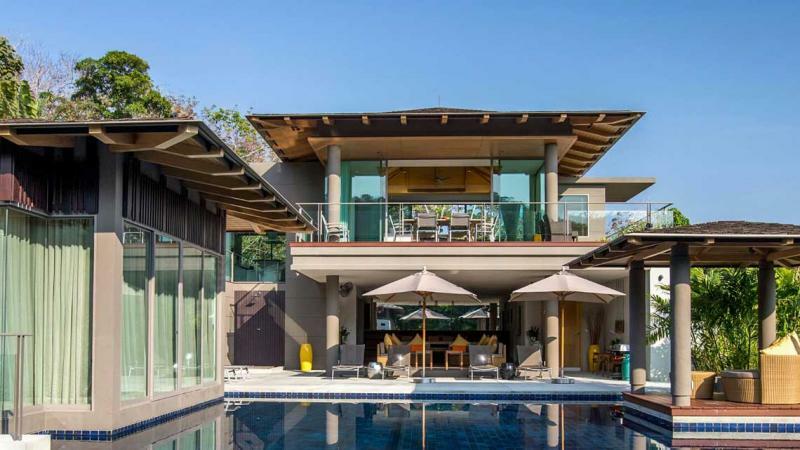 The "La Colline Villas" are all furnished to a exceptional high standard with pieces of Asian Artwork and modern contemporary furnishings to enhance the feeling that you are staying in a private home. 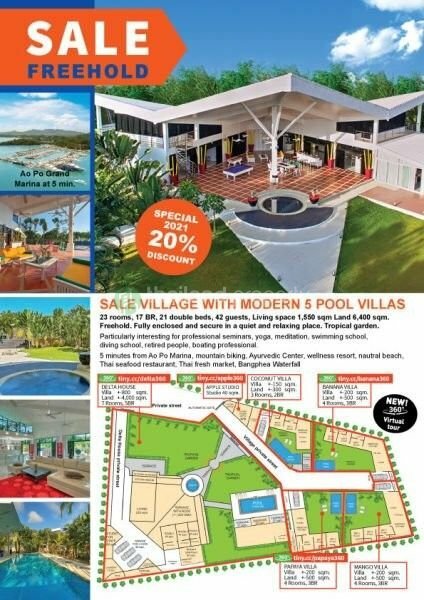 Prime and unbeatable location near Layan village, bordering with one of the few National Parks of Phuket, overhanging Bang Tao Bay with a 180 degree view including also a Sea View and a deep valley covered with trees ending a few miles away with a row of high green hills.